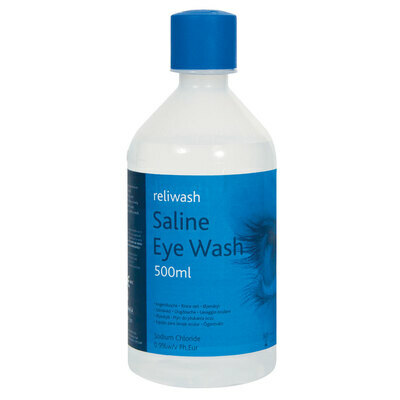 When it comes to the emergency care of your colleague's eyes, our Sterile Eye Wash 500ml is a handy resource to have in your repertoire. This safe solution comes in a handle plastic container with a directable jet which allows you to aim it directly into the eye. Suitable for washing dirt and dust as well as other irritations out of your eyes, it can be applied directly without the risk of additional sensitivities. The sterile eye wash solution can be stored until required and used in seconds with its ready-mixed formula. Here at Gompels, we have a wide range of First Aid & Medical Supplies including our Plastic Eye Bath and Sterile Eye Pads - all for exceptional wholesale prices.